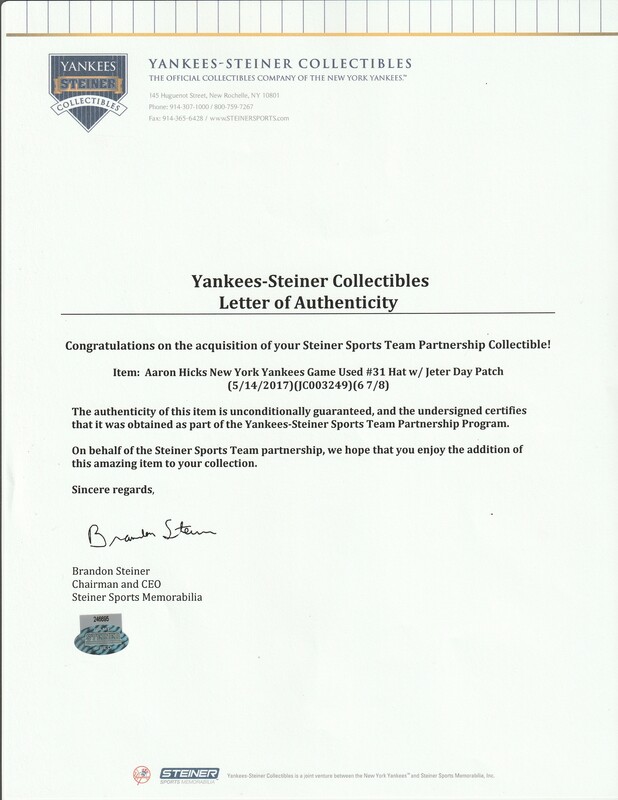 Offered here are game used items from two New York Yankees stars. 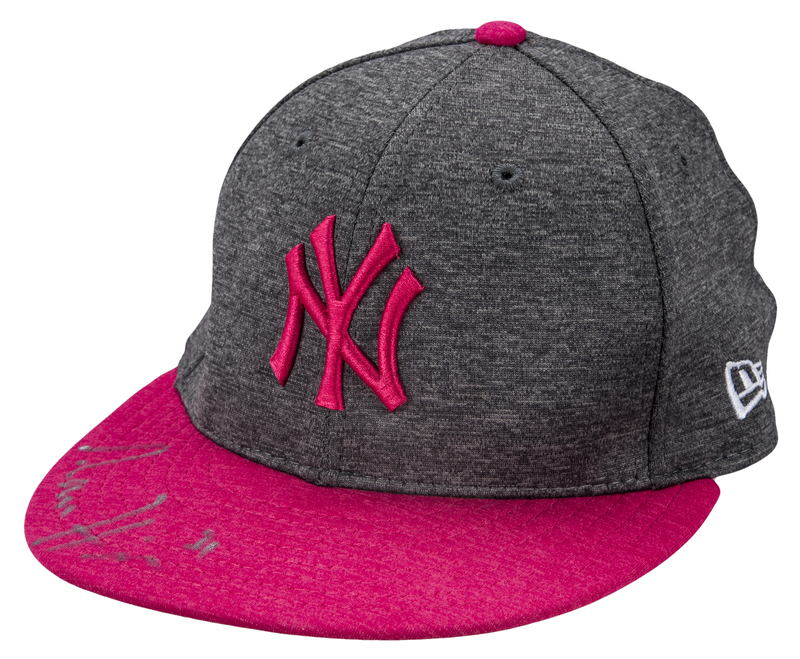 Yankees centerfielder Aaron Hicks wore this gray and pink New York Yankees Mother’s Day cap on May 14th, 2017, during the Yankees 11-6 victory over the Houston Astros at Yankee Stadium. Derek Jeter’s number “2” was retired on the 14th, making this victory over one of the American League’s best teams even sweeter. 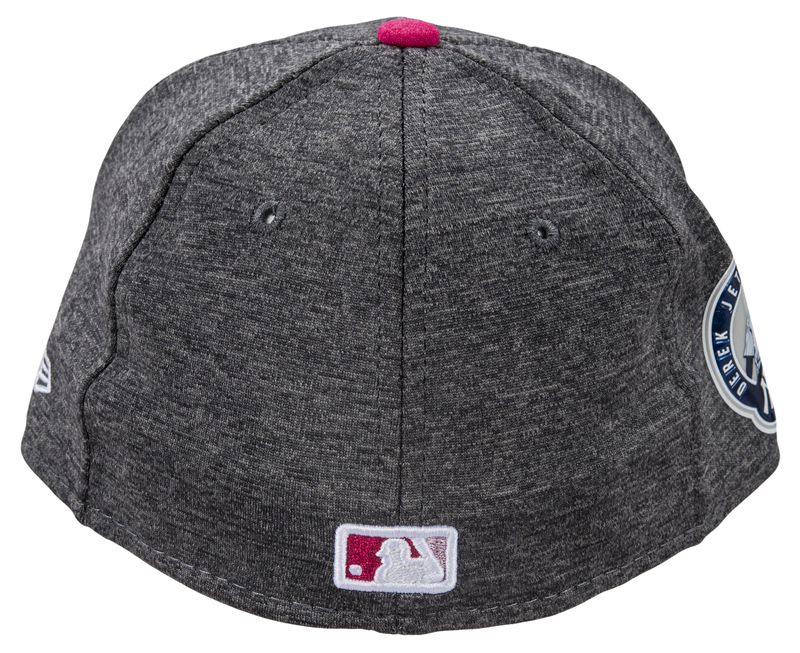 This cap is gray, with a pink brim and a pink Yankees logo sewn on the front. A New Era logo is sewn on the left side of the cap, while a special Derek Jeter patch is affixed to the right side of this cap. 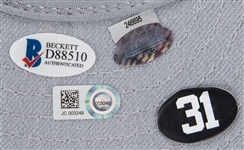 A pink MLB logo is located on the back of this cap while a black sticker bearing Hicks’ number “31” is adhered to the underside of the brim. 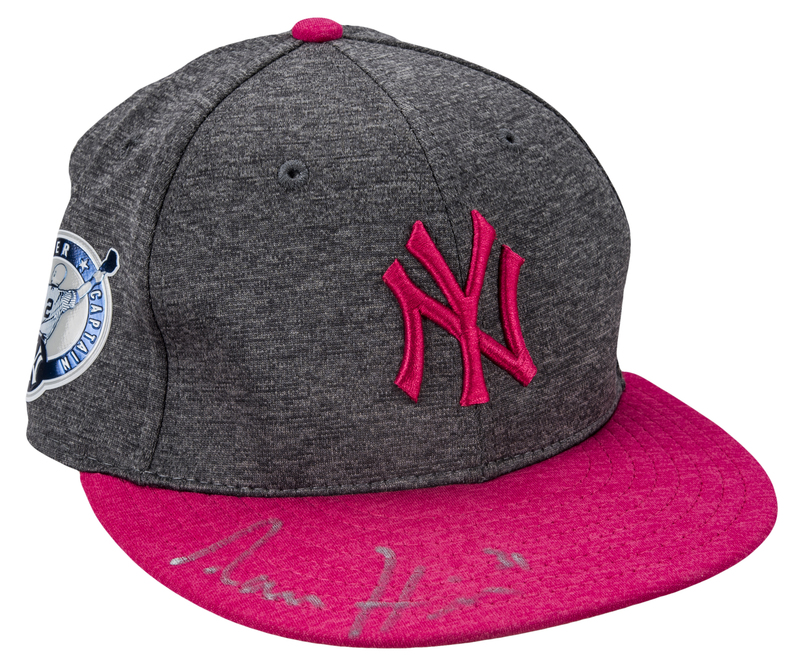 Hicks has signed the top of the brim in silver marker. This cap comes with a COA from Beckett Authentication Services (D88510), a LOA from Steiner Sports (246695), and a MLB Authenticated hologram (JC 003249). 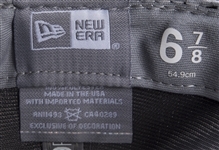 Please note that the MLB hologram mistakenly assigns the date of this cap’s game use to May 13th, however the Yankees had that day off. 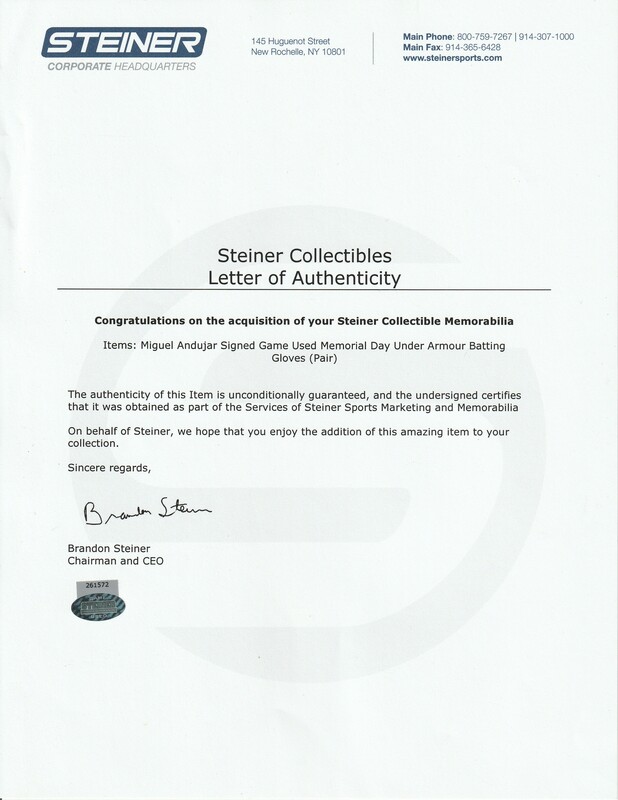 The Steiner Sports LOA refers to the correct date of May 14th. 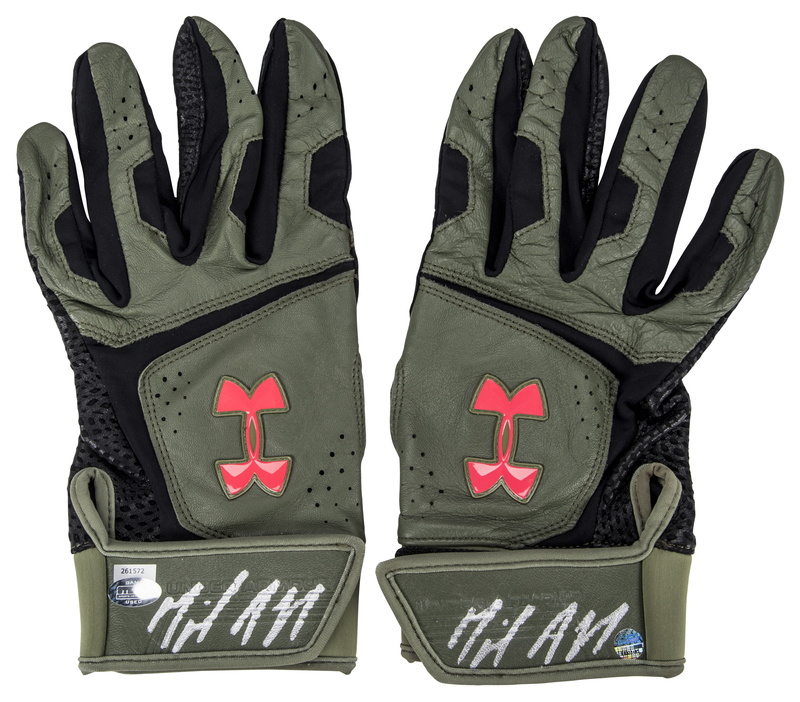 The second item in this lot is a pair of game used Under Armour Memorial Day batting gloves worn by Yankees rookie star Miguel Andujar. 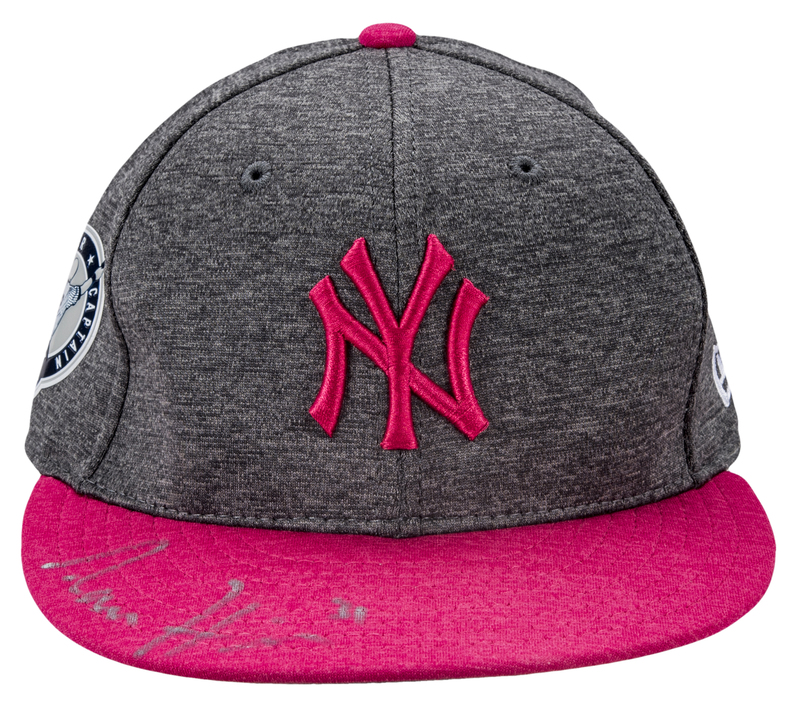 Andujar, a third baseman, tied Fred Lynn’s rookie record for doubles with 47 and finished his freshman campaign with a sterling Triple Crown slash line of .297/27/92. 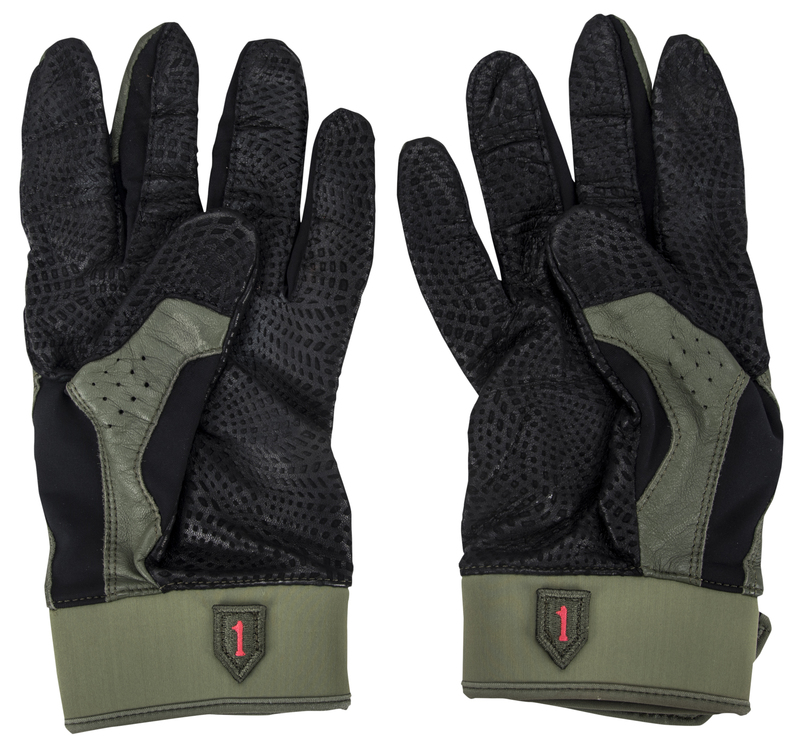 These batting gloves are green and black, with a pink Under Armour logo applied to the top of each hand. 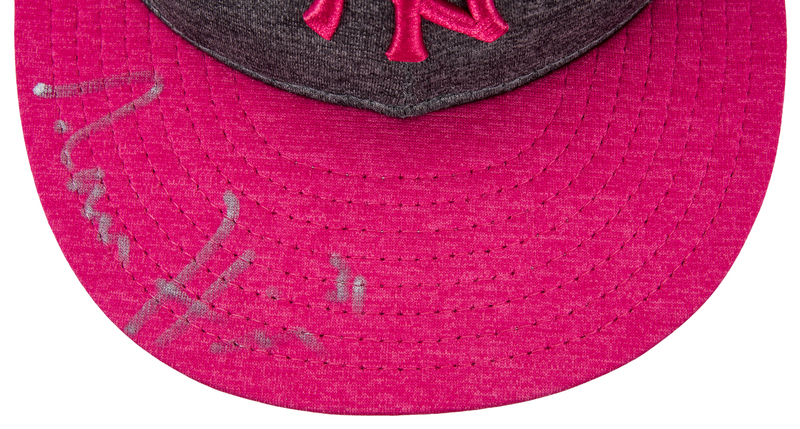 Andujar has signed each wrist band in silver marker. 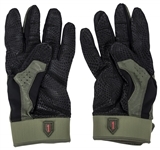 These gloves come with a LOA from Steiner Sports (261572).